Team teaching with our incredible team of PADI Instructors to grow your confidence in teaching PADI Courses! Once you have the PADI Instructor Internship it is time to make yourself more marketable to the dive industry. 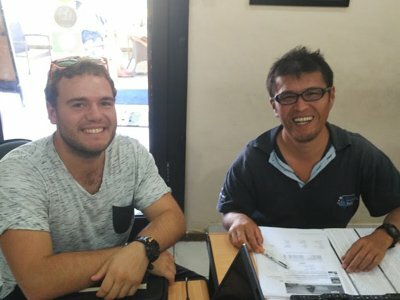 By completing the MSDT Internship with Blue Season Bali you significantly increase your employment opportunities as you will be able to teach PADI Specialty Diver courses and also show that you have some experience already in teaching divers! Ready to sign up for your PADI MSDT Internship today? Up to 25 certifications for the PADI MSDT rating. Five Specialty Instructor Application Fees. 2 Months twin share accommodation. Unlimited diving for 2 months. As a new PADI OWSI Instructor you can teach three of PADI’s 25 specialty courses – Peak Performance Buoyancy, Project AWARE, AWARE Coral Reef Conservation. 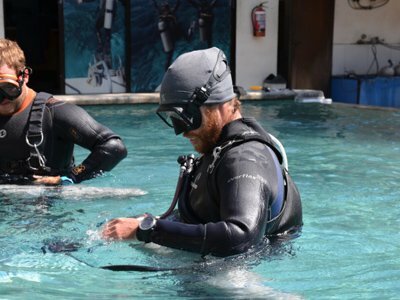 To teach the other PADI specialty courses, you’ll need to be certified for each course. 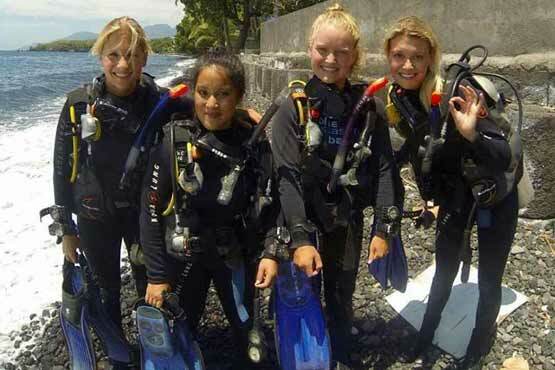 At Blue Season Bali we provide you with five more Specialty Instructor ratings during the PADI MSDT Internship. Once you can teach 5 specialties and you have certified 25 students, you can move up to then next Instructor level of Master Scuba Diver Trainer. By attaining this level, you tell employers that you can train student divers to the highest recreational dive level in the PADI system. 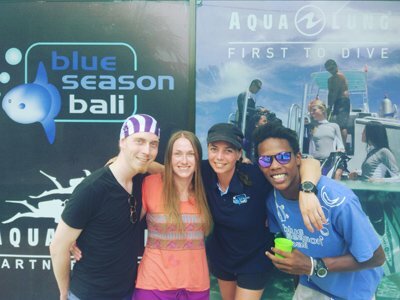 Blue Season Bali offers a 2-month internship package that will take you from OWSI to MSDT. As with all Blue Season Bali internships, it is 100% all-inclusive. We only accept a limited number of PADI Instructor candidates on to our MSDT Internships, and those completing IDC with us get priority on these spots. As you will be teaching real life students, you will be a representative of Blue Season Bali and as such we'll need to ensure that you meet our high standards of professionalism - and that you will fit well within our team. We'll set up a phone chat to discuss your individual goals for your internship and to help you to get a feel for our team. Please do keep in mind that certifications are not guaranteed on the MSDT Internship - our goal is to ensure that you are a confident instructor with teaching experience at the end of your internship. Certifications can only be given to Instructor Candidates who conduct the last inwater training dives. The cost for the PADI MSDT Internship option is IDR 33.000.000 per person.The MSDT Internship can be done as an upgrade to one of our PADI IDC programs or as a standalone program for already-certified instructors. There is no set start date. Begin at any time. If you are not yet an Instructor then check out our Instructor Internship option. To sign up for the PADI MSDT Internship you should be a PADI OWSI and in teaching status. If you are not yet an Instructor then check out our Instructor Internship options. Please refer to our pricing table for more details or email us . A minimum 25% non-refundable deposit is required within two weeks of enrolment with the full balance due upon arrival. Deposits must paid via bank transfer or credit card. Balance payments can be made via bank transfer, cash payment or via credit card (no credit card surcharge applies).